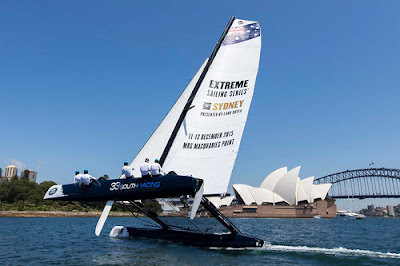 With just over two weeks until the start of the Extreme Sailing Series 2015 season finale on Sydney Harbour, a local wildcard entry of Aussie sailors is beginning an intensive training build-up to try and spring a surprise on some of the best multihull sailors in the world. While much of the focus will be on Leigh McMillan and his impressive crew on The Wave Muscat, as McMillan tries to close out an unprecedented third Extreme Sailing Series championship, local eyes will be on Katie Spithill and her newcomers on board 33 South Racing. Match racing champion Spithill, who started sailing at Elvina Bay in Pittwater and is sister to America’s Cup-winning skipper James, will be the only female skipper in the high-octane Extreme Sailing Series fleet. She leads a star-studded crew that includes Volvo Ocean Race veteran Stacey Jackson, World Match Racing Tour sailor Henry Kernot and 505 Champion Luke Payne for the four-days of super-fast racing starting on December 10th. 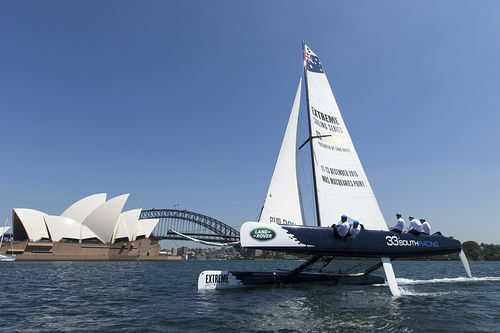 As the wild card entry for the final regatta of the eight-stop global tour, Spithill knows they have a lot to learn, something she was happy to acknowledge after their first outing in their Extreme 40 thoroughbred catamaran in a blustery 20-knot breeze on Sydney Harbour. The Extreme Sailing Series racecourse area will be set in Farm Cove, within touching distance of thousands of shoreside spectators, who will be able to watch the action and cheer on the local team from the free-to-enter public race village at Mrs Macquaries Point. The village will be open daily from 10.00am, from 11-13 December 2015. 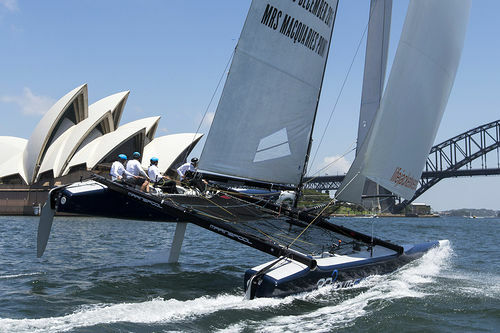 The 33 South Racing team will be kitted out in Marinepool technical sailing gear, as official clothing supplier to the Team and the Extreme Sailing Series.